This Easter egg trio is a delight to sew out. There is room for you to add a monogram! Perfect for childrens and babies garments and would look cute on your Easter apron too. 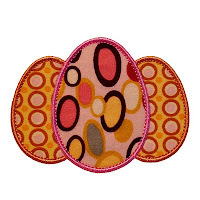 There’s bound to be some fabric in your stash perfect for this design! This design features a gorgeous stitch of Triple Bean which is sewn inside the Satin Stitch edge to give your stitch-out a quality look. 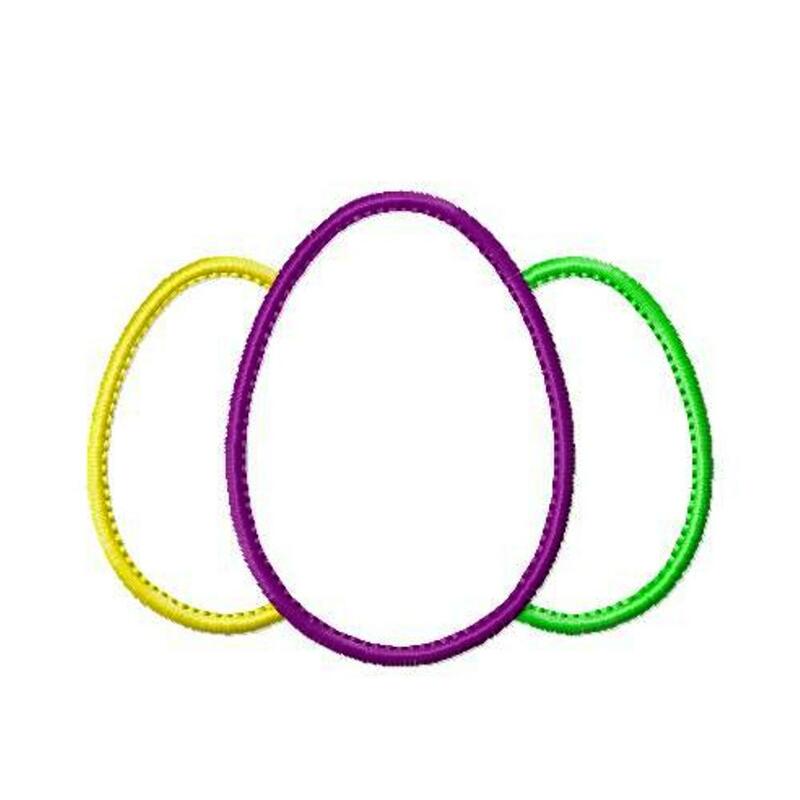 4 Sizes - 3", 4", 5", 6"
5x7 hoop - exact size 5” x 3.79"
6x10 hoop - exact size 6" x 4.54"
Have fun using different thread color and fabric color combinations with THREE EASTER EGGS and you will be rewarded with a vast array of different looks. Enjoy!